SSR Wheels, where to purchase? - Miata Turbo Forum - Boost cars, acquire cats. SSR Wheels, where to purchase? Like the title states, I'm looking at the SSR GTOV2 for the NC. Any thoughts on reputable retailers with good prices? I dont think you can buy any SSR wheels new any more. You have to find them on the used market. There are plenty of "SSR" wheels you can buy new but none of them are the awesome forged lightweight pieces of unobtainium that the old ones were, just a bunch of cast pieces of ****. From what I've seen they have a whole new line of "flow formed" wheels (which is fine because they aren't $700 each). I just don't know who is and who isn't a reputable dealer. I just really don't want any of the Enkei wheels. Leafy, go back to bed, you're drunk. I haven't seen any discussion about SSRs here previously, so this probably isn't the right place to ask. You're deep in 15" wheel country right now. We sell SSR's. Tell me what model and size you are interested in. Also make and model of car would help. Thanks Phil, unfortunately, I found an answer to the weight of the GTV02............21lbs for a $350 17x9 is completely unacceptable. definitely more 17x9 options that are half the cost and weigh ~5lbs less. Interesting. Evasive Motorsports told me they were 21lbs. The lightest (affordable) 17x9 I know of is the RPF1 at like 15.9 and those are $250 each. 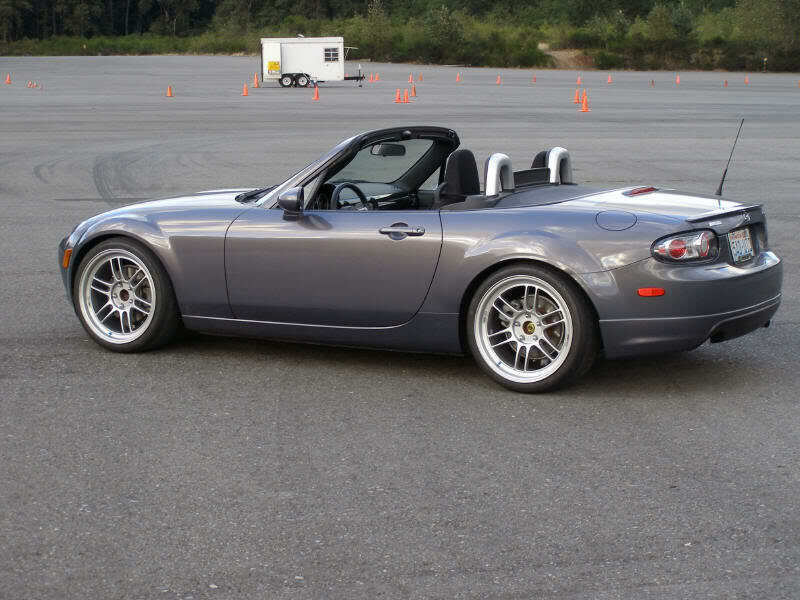 I really want to put Advan RSs on the NC, but I'm not spending $3k on a set of wheels. And I'm not a fan of the heavy and ugly TRMs. I'm also considering 18x9, because it looks amazing. 18" wheels would let you run something wider than a 255 as well. 18x10s with 275s and attack with a fender roller. whoops, i was mistaking looking at 15x9 other options, not 17s I still see the 18.4lb figure when searching the SSRs. No need. I'm not trying to win SSM or something. I'm just occasionally going to take the car to the track and a few auto-x.....nothing serious. 255/35/18 is still plenty of meat for a 150whp 2500lb car. It is which is why it's so popular. I was just trying to see if there were any other alternatives. But you have to go WAY up the $$$$ scale to get any of the other JDM wheels that look good and are low weight. Quick Reply: SSR Wheels, where to purchase?